very nice design and you feel you are living in the town. The room, the kitchen, the bathroom are very causy and elegant. 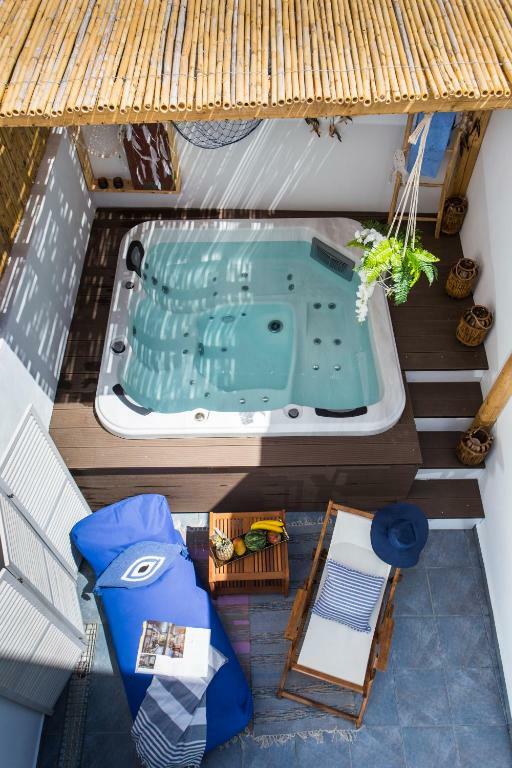 The patio is very nice with a personal jacuzzy. After one day trip it was a really pleasure to have it. The sister and brother work together and are present whenever you want and are very charming . I recommend it . The old town is 10/15 minutes by walk. Τα διαμερίσματα είναι πανέμορφα και βολικά. Οι οικοδεσπότες ήταν καταπληκτικοί. Φιλόξενοι και εξυπηρετικοί και θα ήθελα να τους ευχαριστήσω για την εξαιρετική διαμονή. Το πρωινό πάρα πολύ καλό, το κρεβάτι άνετο και ξεκούραστο και το δωμάτιο πεντακάθαρο και ήσυχο. Ένα μεγάλο Ευχαριστώ στον ιδιοκτήτη του ξενοδοχείου, Νικήτα Χατζημιχαήλ και στο προσωπικό, για την άψογη συμπεριφορά τους και την υπέροχη φιλοξενία τους. Εξυπηρετικοί και ζεστοί, έκαναν τους γονείς μου να νοιώσουν σαν να βρίσκονται κοντά σε δικούς τους ανθρώπους. Μπράβο σας!!!! Γιούλη Φωτιάδου. Tutto Bellissimo! 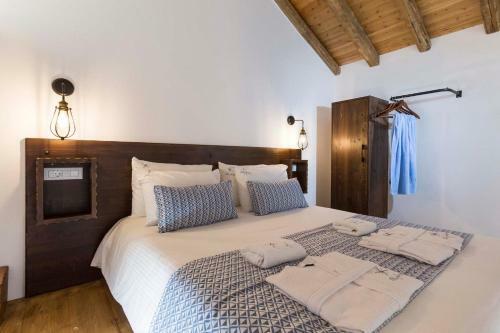 a partire dalla stanza (nuova e carinissima), dalla posizione (a pochi minuti a piedi dalla Porta Rossa della Old Town), fino ad arrivare allo Staff che è stato veramente eccezionale, sempre disponibili e super simpatici. Abbiamo trovato degli amici. Consiglio la colazione che è TOP! Struttura nuovissima.arredata con gusto eleganza, equivalente a un hotel 5 stelle. Il soggiorno è dotato di cucina attrezzata. La pulizia e cambio biancheria, saponi e creme ogni giorno come in hotel. Molto silenzioso notte e giorno. Ubicata a 5 minuti in auto dal centro storico di Rodi. Torneremo sicuramente li. De gastvrijheid en de behulpzaamheid van alle mensen daar. Kalithea beach is echt een aanrader. Lock in a great price for Blue Jasmine Suites – rated 9.6 by recent guests! 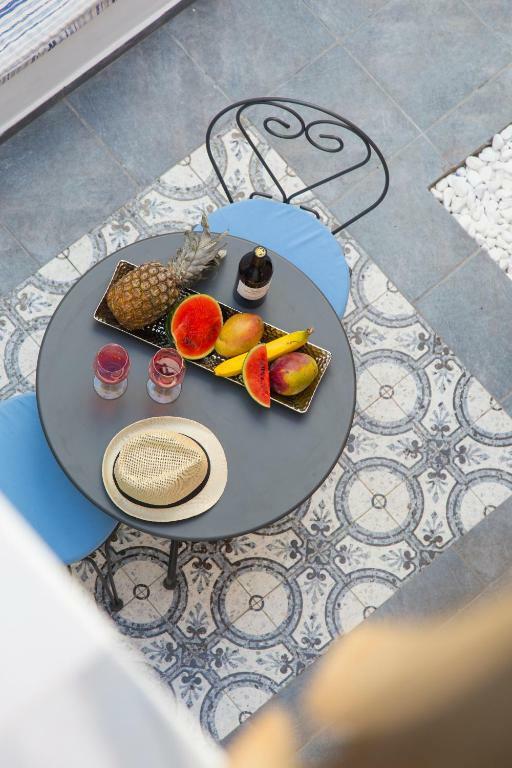 One of our top picks in Rhodes.Located in Rhodes, Blue Jasmine Suites offers accommodations with a patio, kitchen and free WiFi. Every unit features a private bathroom and shower, air conditioning, a flat-screen TV and a oven. A fridge and stovetop are also offered, as well as a coffee machine and an electric tea pot. Clock Tower is 1.4 miles from Blue Jasmine Suites. The nearest airport is Diagoras Airport, 9 miles from the accommodation. 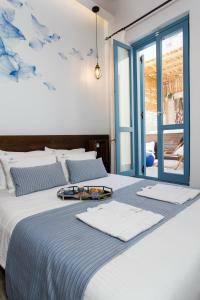 When would you like to stay at Blue Jasmine Suites? This suite has a satellite TV, kitchenware and hot tub. 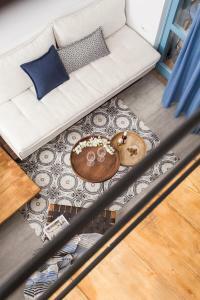 This suite features a balcony, seating area and patio. This suite features a tile/marble floor, stovetop and oven. Back in 2016 our family, with a background in the construction’s industry, decided to invest in a historical building. 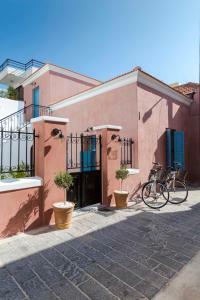 The building was first built in 1881 known as the "Mahramas mansion" which was a typical example of local folk architecture of the city of Rhodes. 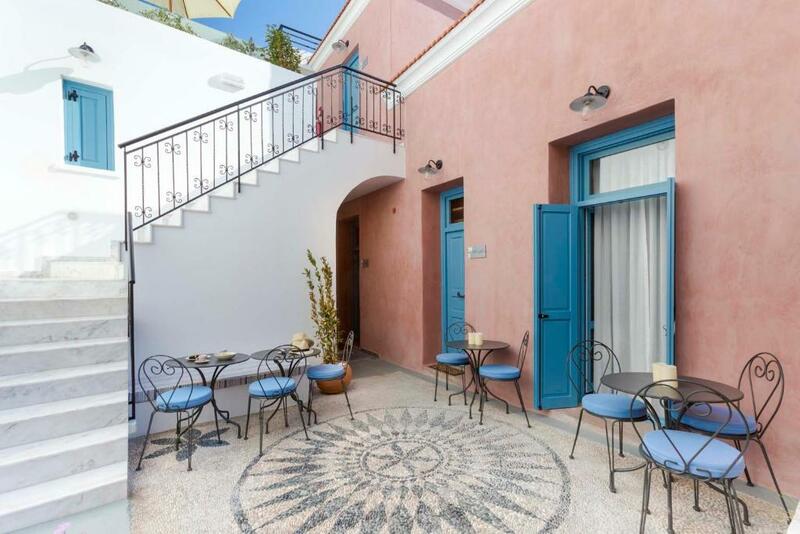 Its complete restoration and renovation to a modern tourist guest house with respect to its original architectural style and the temperament of the area, was extremely challenging. That’s why we put our heart and soul into this project. 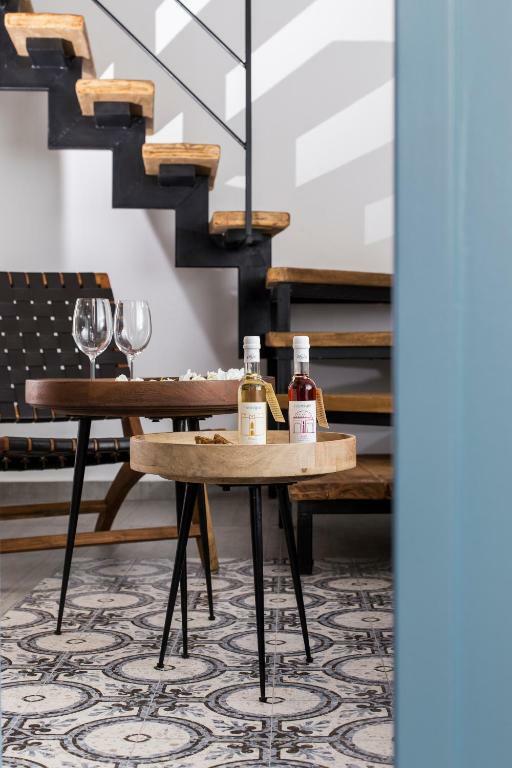 The Blue Jasmine Suites has been designed to make you experience Rhodes as a local, feeling the heartbeat of the city while at the same time you can relax and enjoy all the comforts that we offer you . For us the highest value is Greek philoxenia. We would love to welcome you and we will do our best to make you feel comfortable and happy. 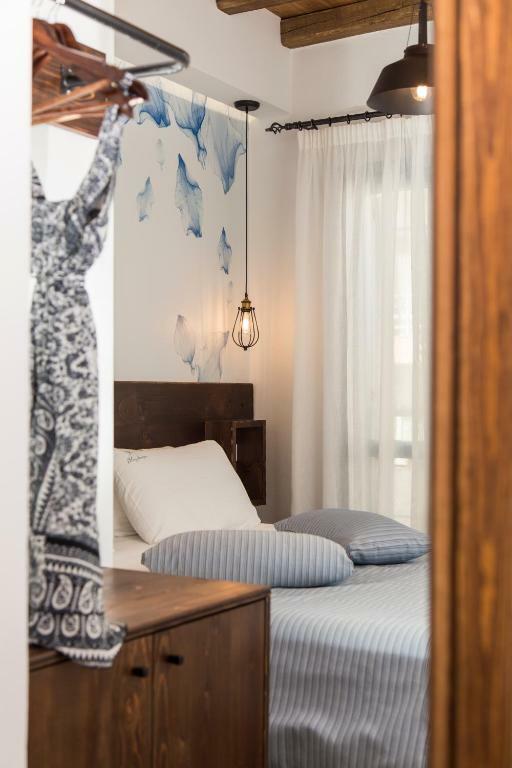 Our goal is your experience at Blue Jasmine Suites to be unforgettable and to become a memory you can cherish for years to come. 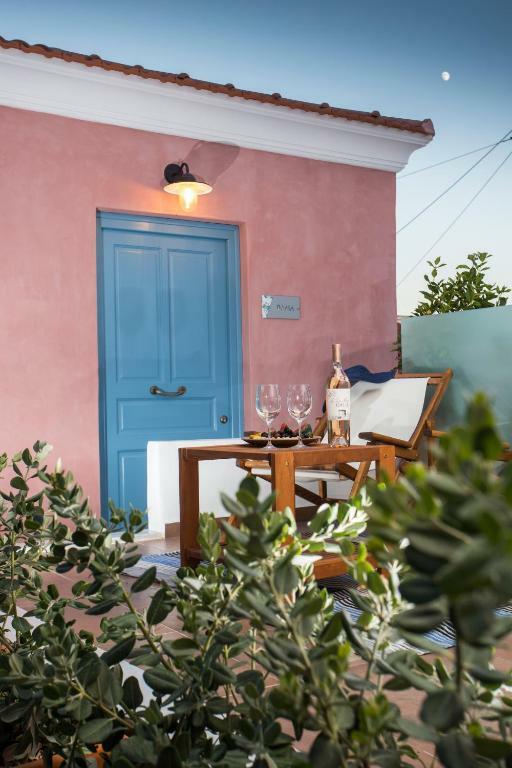 The whole Chatzimichail family, Maria, Ioanna, Loukia, Nikitas and I, Michalis Chatzimichail, will be glad to welcome you at Blue Jasmine Suites. 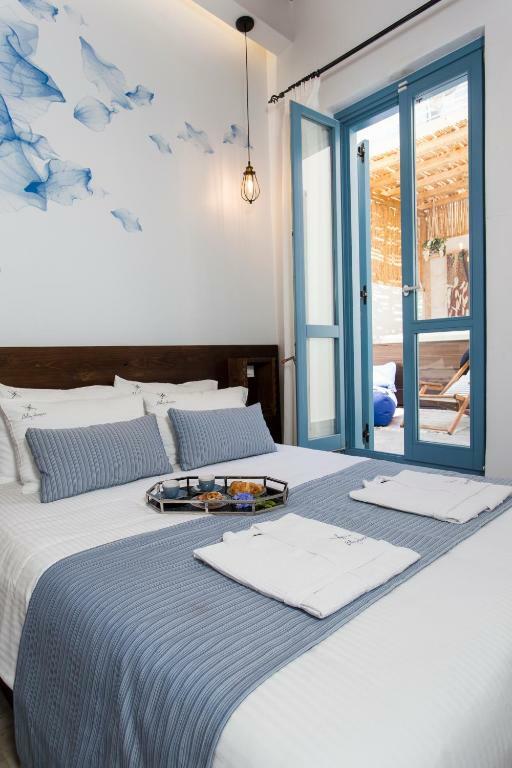 Blue Jasmine Elegant Suites is located in the urban side of Rhodes city, in one of the oldest neighborhoods of Rhodes, called the “Marasi of the Mitropolis”. 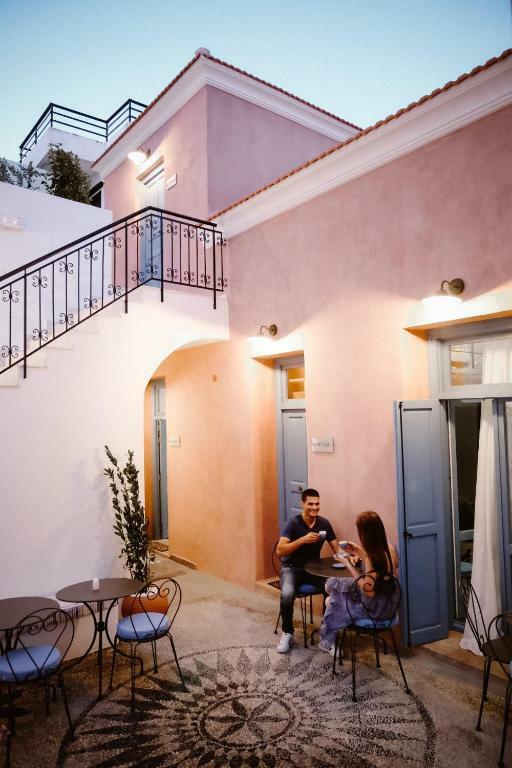 Surrounded by some of the best shops and stores that locals make their shopping, it is just a few minutes away from the Walls of the Medieval town of Rhodes, the new yacht marina of Rhodes, the Cinemas and the old Cathedral of Rhodes. You can walk or use a bicycle to roam through Rhodes, unveiling its countless secrets. 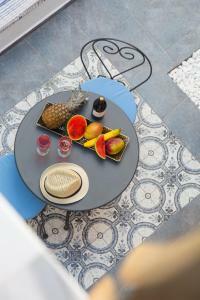 House Rules Blue Jasmine Suites takes special requests – add in the next step! Blue Jasmine Suites accepts these cards and reserves the right to temporarily hold an amount prior to arrival. very comfortable bed and friendly service. Wish we’d booked to stay longer as it was hard to leave this lovely place.